Our Lady Queen of Peace Cemetery was consecrated in 1974 by Archbishop Coleman F. Carroll of Miami. Since 1984, this cemetery has been a part of the new Diocese of Palm Beach and is currently the only Catholic Cemetery owned & operated by the Diocese. The cemetery is member of the Catholic Cemetery Conference and serves the faithful of the Parishes and Missions of the Catholic Diocese of Palm Beach. The Diocese of Palm Beach includes the 53 parishes and missions of Palm Beach, Martin, St. Lucie, Indian River, and Okeechobee counties. 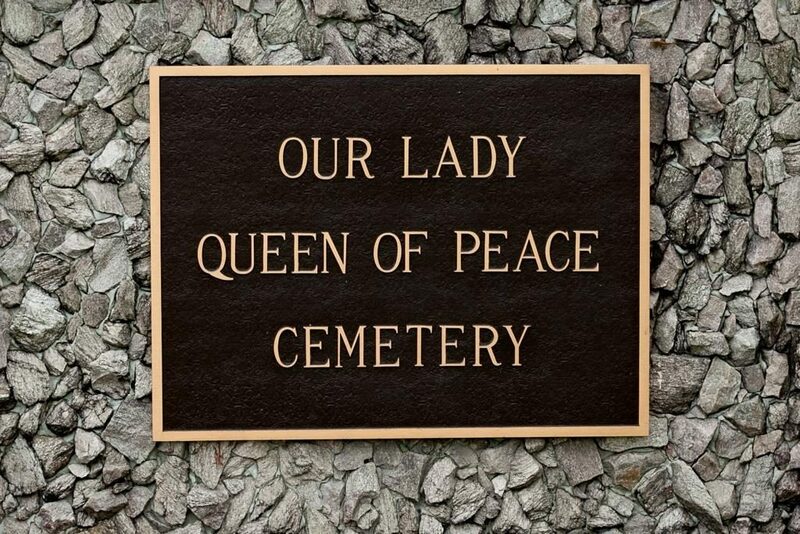 Our Lady Queen of Peace offers many alternatives for cremation and full-body interment and memorialization in keeping with the sacred beliefs and traditions of the Roman Catholic Church. Options include Private Estates, Gravesites, Mausoleum Crypts and Cremation Niches, Monuments, Urns, Vaults, and many custom memorial options.